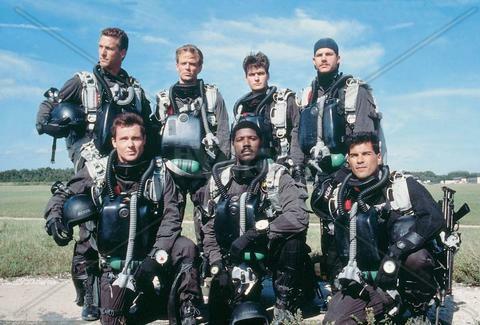 When Michael Biehn called filming Navy SEALS "probably the worst experience of my life", it's likely he was referring to working closely with Charlie Sheen for six months, but it's also possible he was talking about undergoing authentic SEAL training prior to filming. Now, thanks to Virginia Beach-based SEAL Training Adventures, you can see if you've got what it takes in the form of a 24hr-straight endurance test run by former SEALs that distills their infamous Hell Week into the most intense day a civilian can endure. Since the goal with the 24 Hour Challenge is to condense the rigors of Hell Week into 1/7th the time, "the only rest you can expect is if your boat crew finishes first and there is a wait time for other teams to hit the beach." On said beach you'll be doing everything from apparently learning to moon the ocean, to open water swims, to a series of semi-submerged "surf tortures" wherein you lay, arms interlocked with your heads in the relentless, cold surf wondering why the hell you chose to spend your vacation doing this. 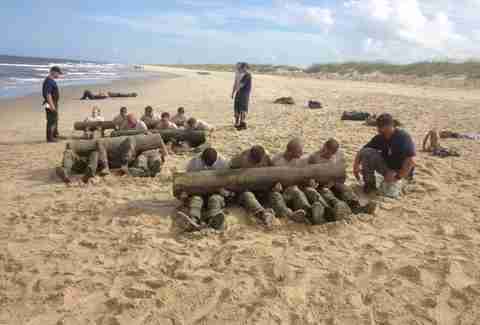 Aside from repeatedly tricking your body into thinking it's drowning you'll be doing stuff like soft sand runs (most likely while soaking wet and carrying a log or boat), log sit-ups, and also a physical readiness test that includes proper-form pull-ups, sit-ups, push-ups, a 500yd swim, and a 1.5mi run. Again, on your vacation. However, some of the most intense stuff at Hell Week (and, thus, of the 24hr Challenge) happens in the seemingly safe confines of the pool -- there, you'll be put through the ringer with everything from prolonged no-hand/ no-feet water treading to brick-holds, all in the name of making you "drown-proof". Just like Charlie Sheen.